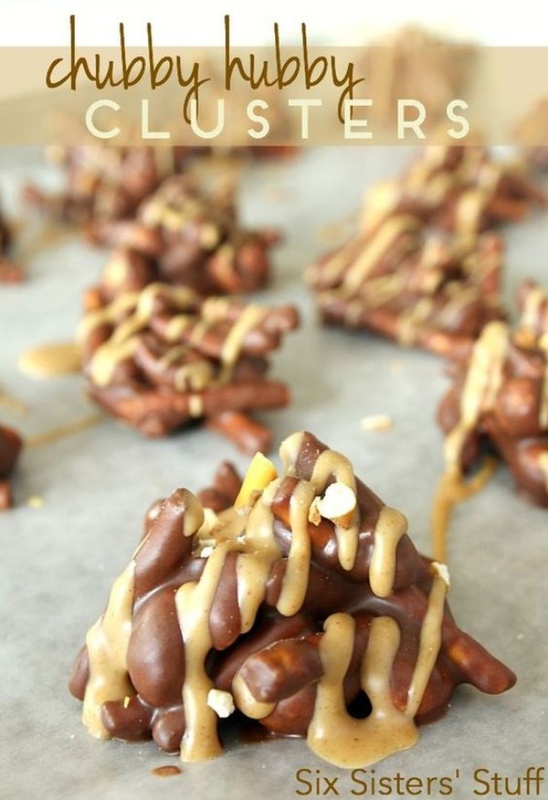 Chubby Hubby Clusters By Six Sisters' Stuff. Chocolate, peanut butter, pretzels, and peanuts all come together to make the perfect little treat! No baking required.